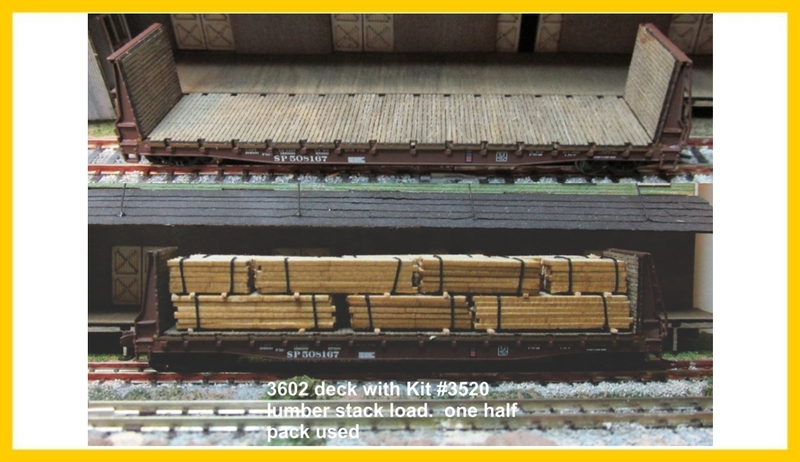 A wood deck for Wheels of Time Bulkhead cars. The kit includes laser cut micro plywood and laser board parts with 3-M peal and stick backing for a easy no glue conversion. Decks for 2 cars included it this kit.